This well maintained and fully renovated villa in Julianadorp, is situated on a fully walled and gated property, measuring no less than 1.920 m2. When the automatic gate opens, you will immediately notice how well both the garden as the home are maintained. The living room is divided in three areas. The largest is directly connected to the kitchen. Furthermore a den and a front room. 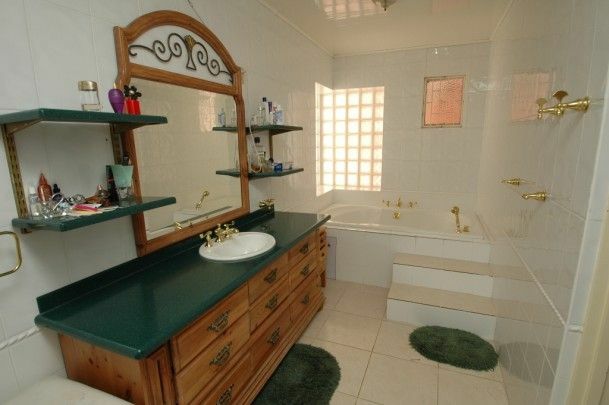 Needless to say, the villa hosts a guest powder room. 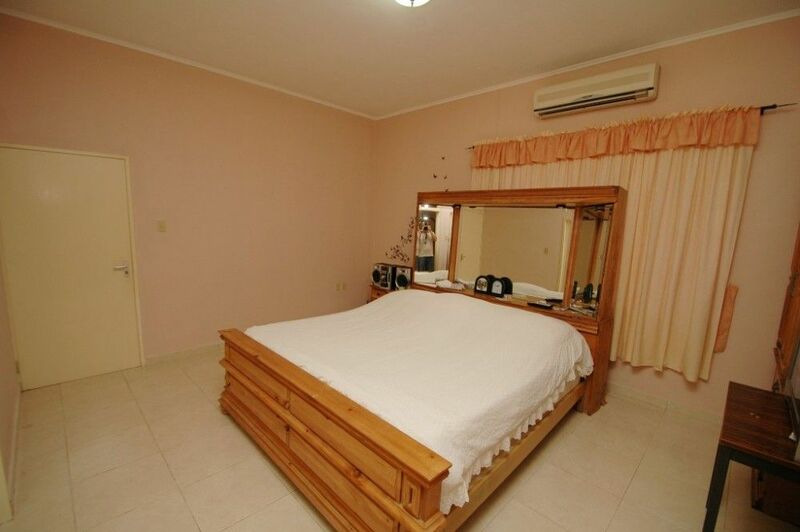 Additionally, the villa comes with a separate laundry room and a maids room. The latter is currently in use as gym. 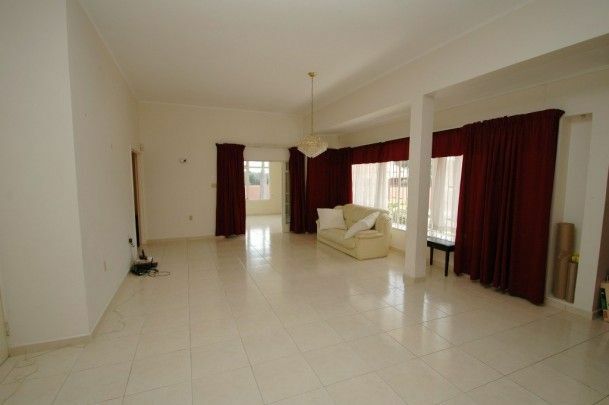 This home provides you with a total of 380m2 of living space. Both the living and the kitchen open up to the gorgeous back yard, that features not only a swimming pool, but a jacuzzi and an outdoor bar as well. Keeping the garden well irrigated is a breeze, a deep well connected drip system takes care of that. 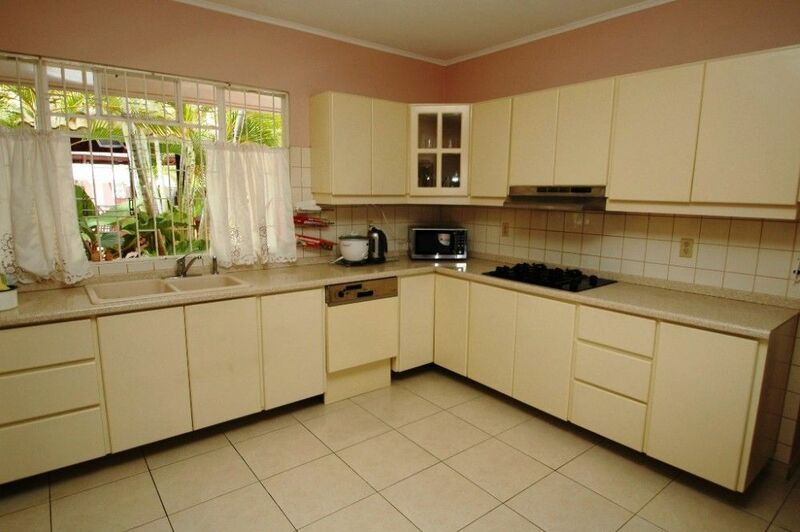 Adjacent to the swimming pool sits a detached building that hosts 2 self contained apartments. Both apartments come with a living, small kitchen, 2 bedrooms and a bathroom. In total, this building offers 121 m2. 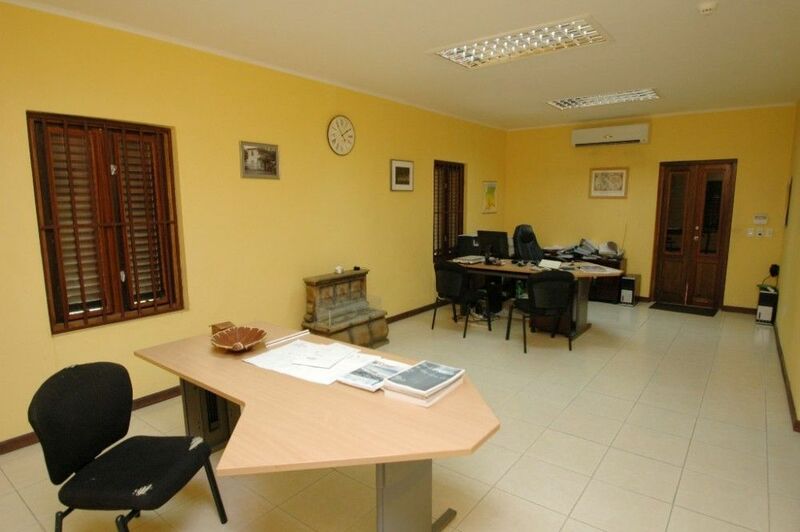 Lastly, this property hosts a detached 142m2 office building, featuring a front desk, 4 offices and a meeting room. In order to keep business separated from work, a separate entrance gate has been created. All in all, this is a gorgeous and complete home. The property is being secured by means of security cameras. 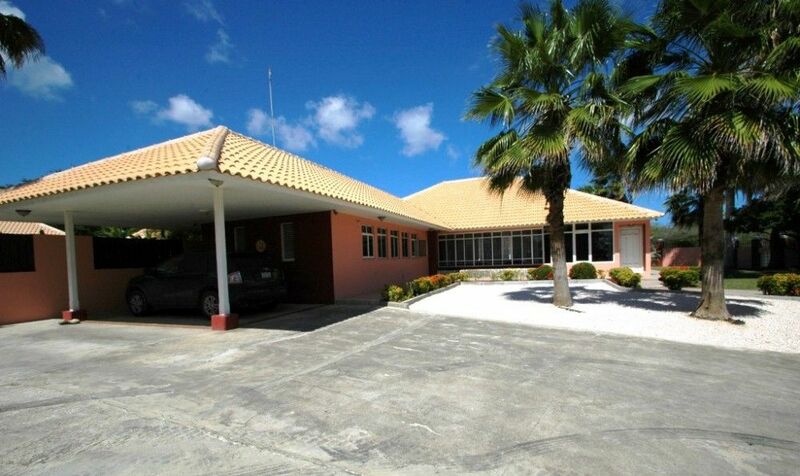 Buy a house in Julianadorp, Curacao? Julianadorp Curacao is a lovely, well established neighborhood, that was originally developed for the middle management staff of the Shell Oil Refinery. 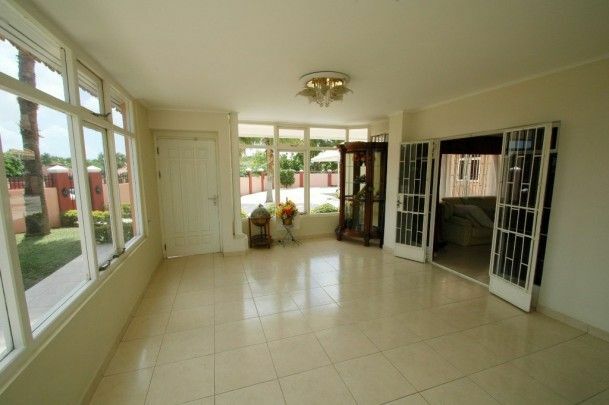 This neighborhood is know for its spacious setup, its generous sized lots and its stylish Caribbean style villa’s and semi detached 2-story homes. Most of the homes were built in the 1930’s, many homes still feature original details. Julianadorp is a highly sought after neighborhood, partly because it hosts the Netherlands based private elementary, middle and high school. 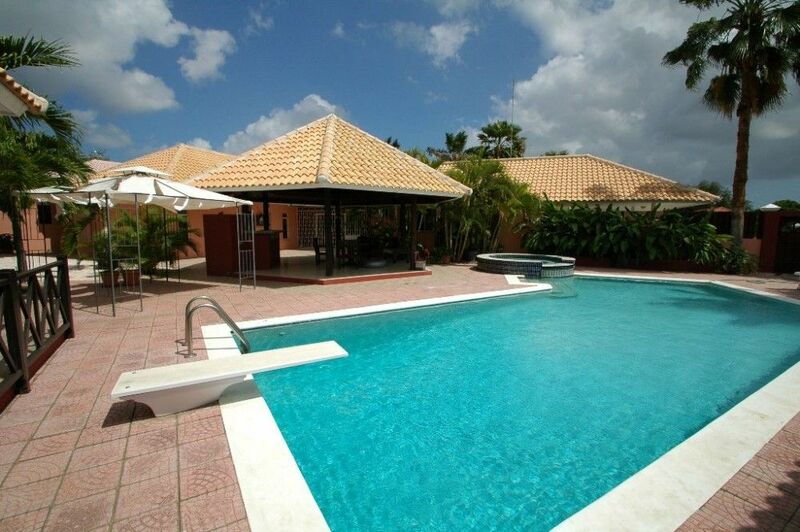 It is situated between Hato Airport and Willemstad. In immediate vicinity you can find Centrum Supermarket. 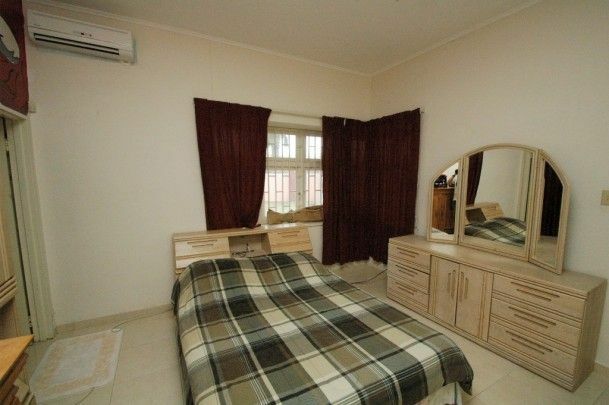 The Piscadera Area with major hotels such as Hilton Curacao Resort, Curacao Marriot Beach Resort and the Floris Suite Hotel Curacao are close by. Also Blue Bay Golf & Beach Resort is located in close vicinity. Click here for an overview of houses for sale / houses for rent in Julianadorp Curacao.